This statistic displays the Net Ingredient Cost (NIC) of antidiabetic drugs other than biguanides and sulfonylureas in England in 2015/16. 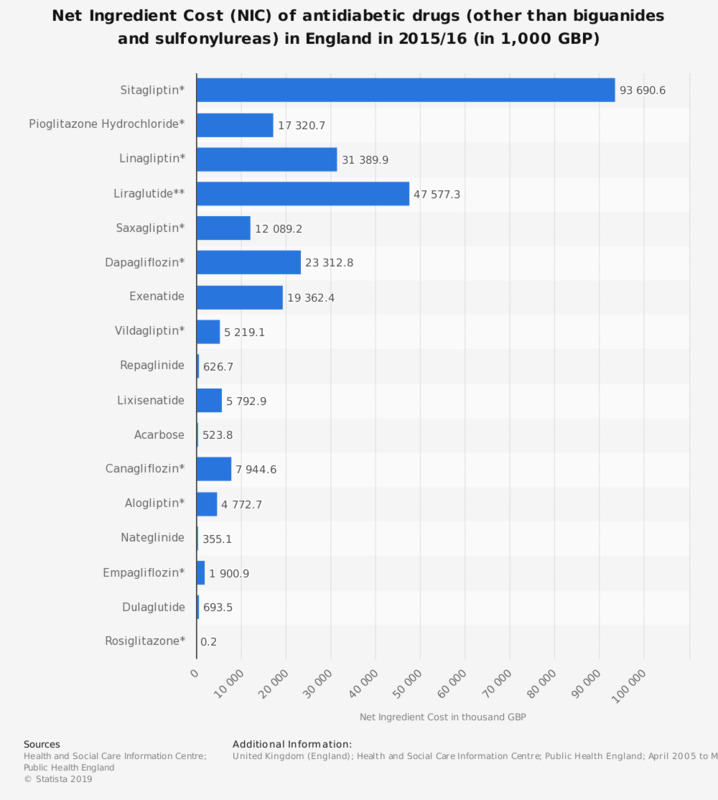 In this year, the leading other antidiabetic drug in terms of net ingredient cost was Sitagliptin, costing approximately 93.7 million British pounds. * includes combination with metformin. ** includes combination with insulin degludec. The source also adds the following information: "Please note where drugs are shown to include combinations with metformin this is only where a combination product containing both drugs has been prescribed. There is no information on whether the combination of metformin and another Other antidiabetic drug is prescribed separately as patient information is not captured within the dataset."